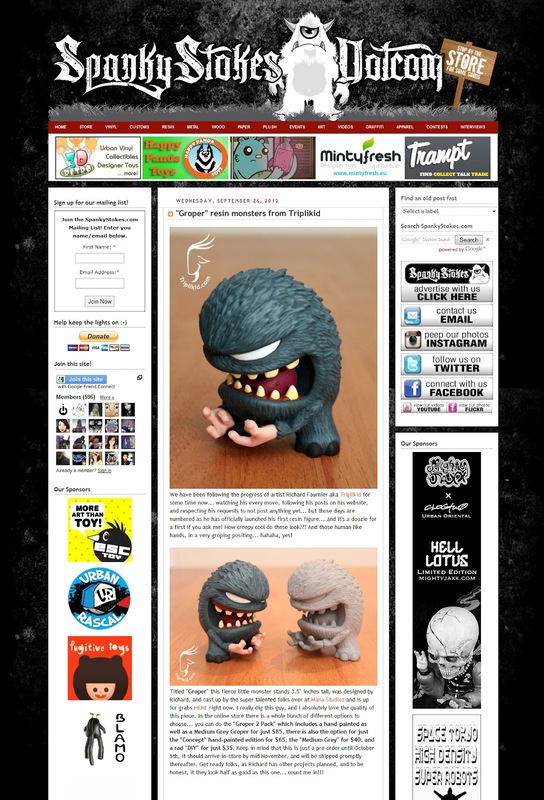 I had the good fortune of being mentioned on SpankyStokes.com. Spanky has been extremely helpful during the production of my first designer toy, and I am really excited to be mentioned on his site along with so many great artists & creators. Be sure to check out http://www.spankystokes.com for the latest releases and news. Here's a direct link to the Groper info. Blurb on Spanky Stokes about Triplikid's first release: Groper.